Getting the optimal geometry for a shaft-mount roller rocker system can be tricky and should always be verified when building an engine. Having the tip placed in the correct location on the valve stem is required to ensure the valvetrain works as intended, doesn’t experience extra wear, or fail in a catastrophic way. The team at T&D Machine provided us some tips on how you can make sure your shaft-mount roller rocker geometry is on-point and ready to go. Years of experience in the shaft-mounted roller rocker arena has led T&D to the conclusion that the roller tip to valve stem pattern is optimal when it’s centered. Their products are designed to have the roller tip behind center and toward the intake side of the head when the valve is at its closed position. When the valve is at half lift the roller is set to be just past the center and moving towards the exhaust side of the cylinder head. During this process, the fulcrum line is going to be perpendicular to the valve itself while the adjuster is going to be parallel to the axis of the pushrod. When this point has been reached the roller will have completed its movement towards the exhaust side of the head. Finally, as everything moves from half-lift to full-lift, the roller is moving towards the centerline of the stem where it started on the intake side. Figure one and Figure two below demonstrate how this entire process works. Every rocker system that ships out of the T&D facility comes with a stand height gauge as part of the package. According to Sheldon Miller from T&D, this tool is very important to ensure your roller rockers are going to be positioned correctly for the right geometry. Miller goes on to explain what you need to do to get the correct stand height by adding or subtracting shim based on your lift. “If the gauge you are using is designed for 0.750-inch lift, you will add shims until that gauge touches both the shaft and the valve stem. If you have less lift, say 0.650-inch, you will raise the stand half that difference in lift. Since the gauge is designed for 0.750-inch and you have 0.650-inch this leaves you with a difference of 0.100-inch. You must raise the stand an additional 0.050-inches. This effectively splits the lift travel between the first and second half of the lift cycle. If you have a lift size of 0.850-inch you will need to lower the stand by 0.050-inch, splitting the lift travel as seen here. One of the mistakes that people often make is having a valve that’s longer than what the cylinder head manufacturer might have supplied — this is easy to experience since the angle between the valve and rocker can play visual tricks. By having a longer valve and not using the gauge to set the rocker it will cause the rocker arm to be entirely too low. This is caused by a longer valve having a stem tip that’s closer to the rocker, this leads to the roller tip of the rocker being further out on the exhaust side. By adding the right shim it will move the tip to the exhaust side of the head as it should. “In this instance, a taller stand needs to be machined and the rocker arm shaft moved in the stand to correct the geometry. Doing this will split the roller travel between the valve closed to half and half to full open. If we merely looked at the tip starting in the center in this instance the nose or roller tip will be too high, and the travel will roll towards the exhaust side of the stem. At half lift where the tip should be starting to roll back towards the intake side it will actually still be moving towards the exhaust side, then only roll a little way back toward the intake– depending on how far off the shimming is. 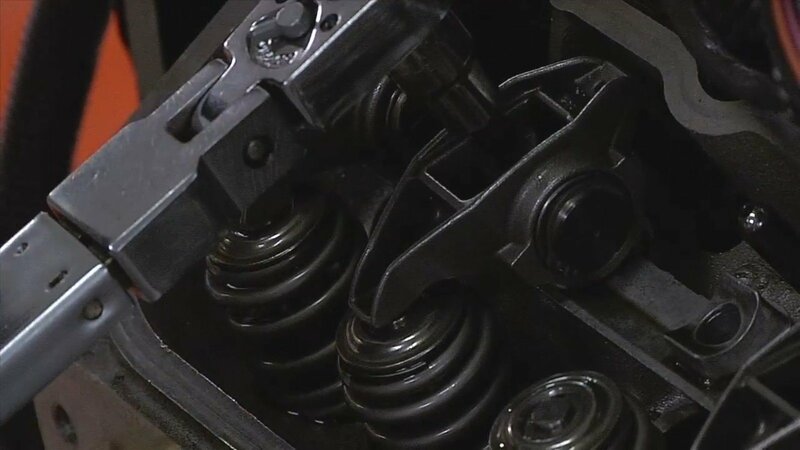 This will result in the gross lift at the valve being off (leading to less than optimum performance), excessive guide wear, or spring and/or pushrod clearance issues with the body of the rocker arm or adjuster cup,” Miller says. On the other end of the spectrum, a shorter valve will provide the opposite issue that a longer one does. If shims are used to center the tip of the rocker arm it will cause it to be too high. Miller explains why this situation can cause problems for the valvetrain. The most common issue that the team at T&D sees with valvetrain geometry is a long valve and low lift situation. When users purchase titanium valves they already have a significant length to them and they will add a lash cap to extend them even more. “In most cases, valve length and lift go hand in hand. But because the valve is so long, the builder needs to add a lot of shim, and then add even more to compensate for lift. This will roll the roller tip way out toward the exhaust side of the head. Even if the builder was just trying to get the roller in the center of the valve, that will require a lot of shim. 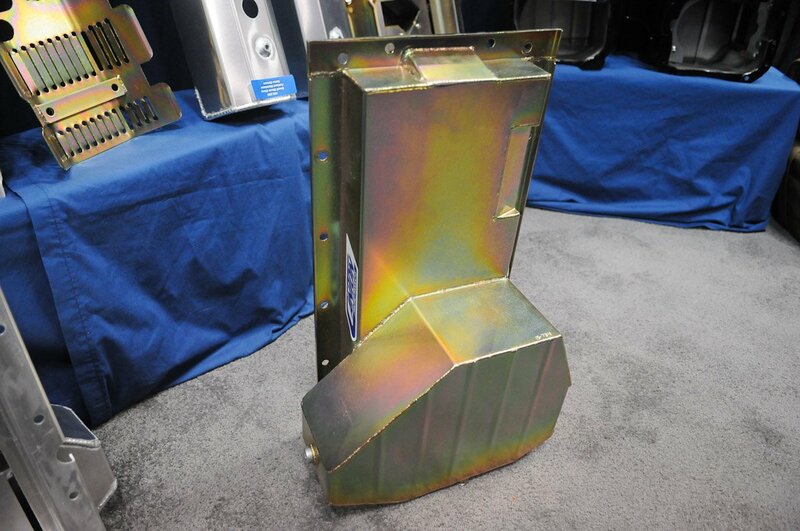 The fix for this is like the first scenario; T&D builds a taller stand and then moves the rocker arm back towards the intake side of the head to correct geometry,” Miller says. In cases where a custom rocker arm stand is needed T&D requires specific information from the engine builder to get the geometry correct. When there is an issue T&D has the engine builder use the stand height gauge to help get an accurate assessment of what’s needed. “Knowing the parameters with the gauge we can make decisions based on what they are seeing. 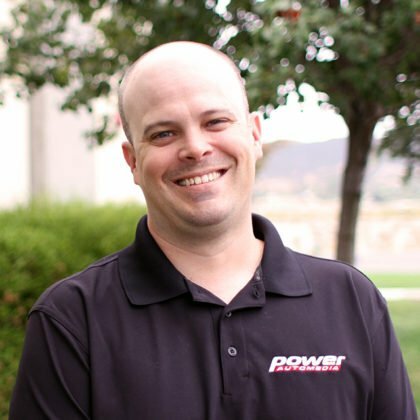 We will have them use as much shim as the gauge is requiring, making the lift compensation and then they will need to tell us exactly where the roller tip is sitting – compared to the centerline of the valve stem,” Miller explains. Having the best possible valvetrain geometry can be accomplished by just making sure you follow a manufacturers recommendations. T&D Machine goes above and beyond to make sure you have everything you need to keep your roller rocker arms where they need to be on their stands and have a happy valvetrain. 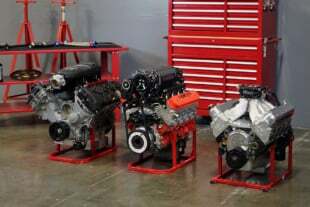 Engine Tech: Understanding Valvetrain Geometry and Getting It Right!